The Linux Mint project turned out to be an early Christmas present, as it usually does, but this release is perhaps more important than usual given that Mint is much more alone in the Linux distro world than it was just one year ago. 2017 saw Ubuntu abandon the Unity desktop and come back to the GNOME fold, which means that Linux Mint is now the most popular distro that doesn't ship with GNOME. Mind you, Linux Mint doesn't just not ship GNOME by default, it doesn't ship a GNOME version at all. That doesn't just make it unique, but also more important than ever. Some might argue it doesn't matter which desktop distros ship with by default since there are dozens of desktops out there and most will work with any distro. 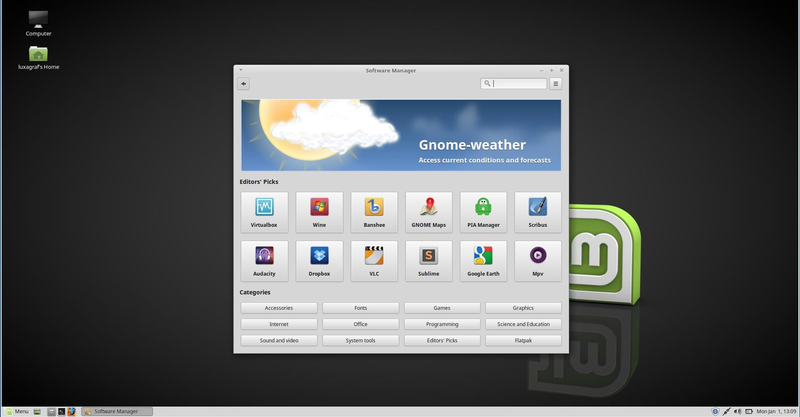 It is true that choice has long been one of the appeals of the Linux desktop, but as study after study has shown, users very rarely stray from the defaults and that is why Linux Mint is such a landmark – it and openSUSE are now the only major distros not shipping GNOME by default. 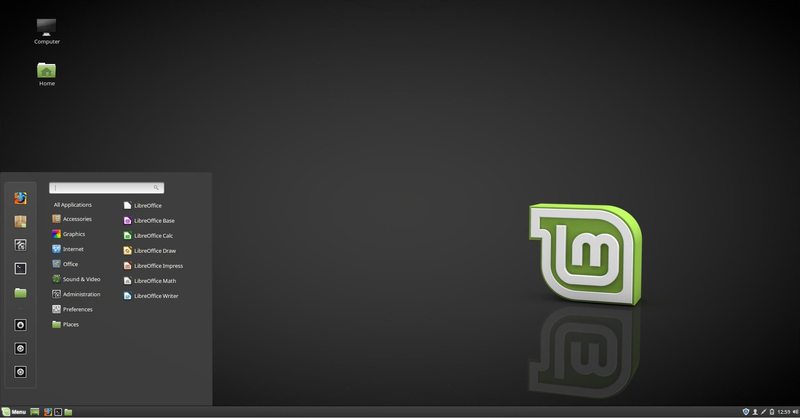 Instead, Linux Mint offers two different homegrown desktops – Cinnamon and MATE. Several years ago Linux Mint altered its release strategy to track upstream Ubuntu long-term support (LTS) releases instead of chasing each new update. This foundation means that Linux Mint gets the security and maintenance updates Ubuntu LTS users get, but Mint can continue to refine its own desktops, Cinnamon and MATE. It's worth noting that, if the past is any guide, this will be the last Mint release based on Ubuntu 16.04. Linux Mint 19 will likely change its underlying code base to use Ubuntu 18.04 LTS when the latter is released later this year. Under the hood in Linux Mint 18.3 you'll find Ubuntu 16.04 LTS, specifically the up-to-date Ubuntu 16.04.3 release. That means you get kernel 4.10, which provides quite a few hardware fixes that plagued earlier kernels (my Bluetooth actually works without issue from 4.10 onward, which was not the case when Ubuntu 16.04 was first released). You'll also find X.org 1.18.4 and the usual update to all the GNOME software suite, including the notably faster Firefox 57. You'll also find something very interesting in Linux Mint 18.3 – support for Flatpak applications. Flatpak applications solve one of the core potential problems with Linux Mint. Because it is built on a package base which doesn't change, potentially for five years, it's both stable and safe, but naturally there's a trade-off. You don't have access to new versions of software applications, you can only run the versions which are in that Ubuntu LTS base. That means some apps in Linux Mint can be as much as three years behind what you'll find in, say, Ubuntu 17.10. In practice that rarely happens and when it does there's probably a .deb version of the app available, but then what if that has dependencies and you need to upgrade core libraries? Now your system isn't going to have that stable base anymore. Flatpaks solve this problem by packaging applications separately from that base system, so you can have the stable core and the latest and greatest applications. What's interesting about Mint throwing its weight behind Flatpaks is that there's another option you might think they'd be interested in, Snap packages, which are essentially the same idea, but created by Ubuntu, which is directly upstream from Linux Mint. In explaining why it chose to natively support Flatpaks, the Mint blog says: "Flatpak is also flexible and doesn't rely on a middle-man between the editor and the users. Editors and users can choose to rely on centralized app stores if they wish, but they don't have to. For instance, an editor could ask Flathub to publish its application but it could also publish it directly, or even create its own store (i.e. 'remote'). And downstream users could very well set up their Flatpak client to point to either Flathub or the editor's store directly, or both of them even. That flexibility is key and it contrasts with Snap which wasn't designed with multiple repositories in mind." While there may be advantages to Flatpak for Linux Mint, I would have preferred to see both Flatpak and Snap supported out of the box since there are apps available for one that are not for the other. After all Ubuntu itself ships with first-class support for both and it's hard to believe Mint couldn't do the same if it wanted to. As it stands you can install Snapd, the Snap package manager, yourself and it will work, but it's not there by default. 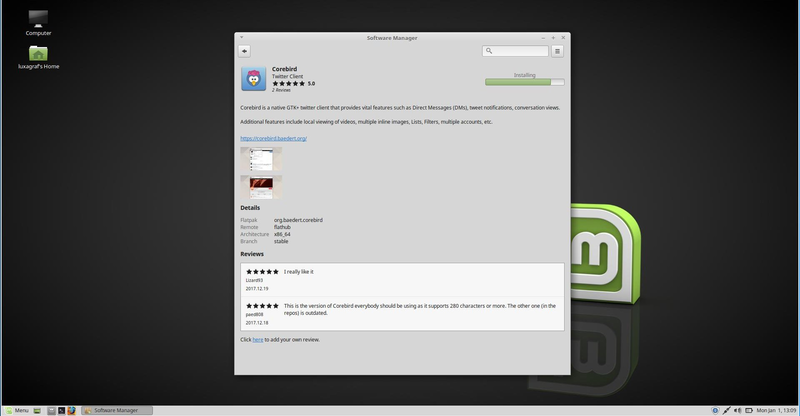 For now Linux Mint natively supports only Flatpak applications. Linux Mint 18.3's Flatpak support is excellent and is configured by default to point to two Flatpak repositories: Flathub and gnome-apps. You'll find a new section in the Software Manager for Flatpaks. It can be a little confusing since there are apps available either through the traditional repo and through the Flatpak portion of the Software Manager, and visually speaking installation is the same, but this same problem happens in GNOME Software and Ubuntu. For now it's just a little bit confusing unless you already know what's going on. Still, despite that issue, you'd be hard-pressed to come up with an easier way to install Flatpaks than what Mint has delivered in 18.3. It's also worth noting that the Software Manager in this release is considerably snappier in both Cinnamon and MATE. This release also seems to boot a bit faster as well, which helps offset that fact that Mint 18.3 Cinnamon is quite a bit heavier on the RAM. If you followed the link to that Linux Mint blog post you might have noticed one other newsworthy bit, the Linux Mint KDE version is going away. Linux Mint 18.3 KDE Edition is the last of its kind. Going forward there will be Cinnamon, MATE and Xfce. You will of course be able to install KDE atop future releases, you'll just have to do it yourself. This release sees Linux Mint putting quite a bit of work into its Backup Tool, which was almost entirely rewritten and to a certain extent re-envisioned. Backup Tool is now dedicated to making a backup of your home directory – that's it. It saves all your files into a tar archive and will then restore them right where they were with the original permissions and timestamps preserved. If you want to backup the rest of your system you'll want to use Timeshift, a system snapshots tool that ships with Mint 18.3. Timeshift works a bit like rsnapshot (another option if you're comfortable with the command line) combining rsync and hard links to make incremental backups of your system. The Mint developers worked with Tony George, the developer of Timeshift, to improve localisation, the UI, and add support for window progress and encrypted directories. The improvements are also available upstream as well, so even if you don't use Linux Mint, thank the developers next time you use Timeshift on another distro. While most of what's new in Linux Mint 18.3 is distro-wide (everything mentioned so far is the same for both primary desktops), there are a few desktop-specific changes, especially in the Cinnamon release. 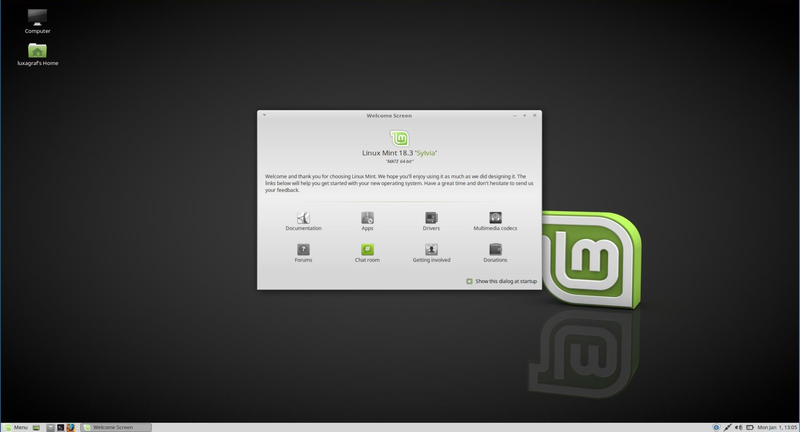 The Cinnamon Edition of Linux Mint 18.3 features Cinnamon 3.6, which is perhaps most notable for supporting GNOME Online Accounts. That means you can now browse your Google Drive or NextCloud files directly in Nemo, the Cinnamon file manager. Another change is that the Synaptics touchpad driver has been replaced by libinput. Practically speaking, this should have no effect for most users, but if you wrote your own config files you'll want to update them to use the libinput syntax and file location (or you can uninstall libinput, Synaptics is still there and will be used if libinput is removed). Cinnamon continues to improve its HiDPI support. The release turns on HiDPI support right out of the box and the UI scaled correctly on HiDPI displays for me with no need to configure anything (it even worked correctly in Virtualbox). There are dozens of other improvements in Cinnamon though none of them are particularly earth-shattering. Instead this release feels like an iterative one, where most of the focus has been in polishing and improving all the little rough edges of the last release. The MATE edition of Linux Mint 18.3 sees, well, pretty much nothing new. It ships with MATE 1.18, which was released back in March 2017 and while it features plenty of improvements over the previous release, there hasn't been a release since. To some extent the MATE desktop feels very much complete at this point. I have no doubt there will be feature improvements and changes in the the future, but even if there were MATE would be a very solid, relatively lightweight desktop.